structure of the steel- the strongest, longest rubber to metal bond. Nothing beats it! into clay molds and call it vulcanizing! pads for lights, not motor mounts. 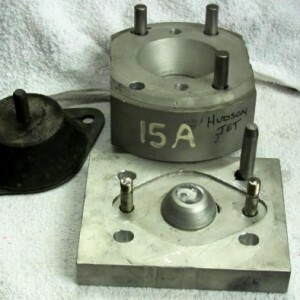 Our mounts are either US NORS or Your mounts re-done the same way Hudson made them long ago, using vintage presses from a Chrysler 1930’s design lab! 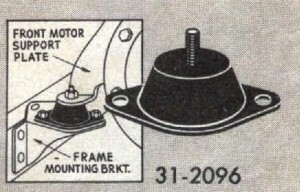 Mounts are grouped by their location, first, then part number, then by Models. We‟ll always consider adding to our selection of mount tooling to help complete a restoration or keep a driver going- but we need good samples to do so! Check our website under “Photos” for more mount pictures. Please Note:Please Note: You must send in your old motor mounts to exchange or be re-vulcanized. 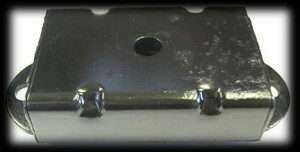 Additional charges made to repair or replace damaged mount plates. For earlier models or ones not listed, please inquire! Thanks! 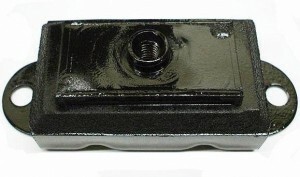 3131967 1955-56 Wasp 6 40– Hornet 6 60 Right ?? Need Sample! 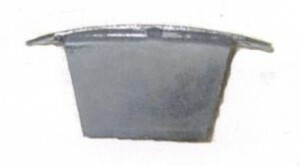 3131968 1955-56 Wasp 6 40– Hornet 6 60 Left ?? Need Sample! Our parts might cost a bit more than some other people’s…they’re re-made here in the US by US workers sing US tooling in US machinery just like the originals were, to give you back the real thing you sent in! 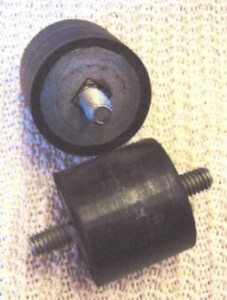 Strong, Durable, Long-lived, Vulcanized Rubber Parts! 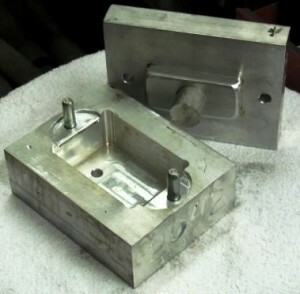 On the right is the Hudson Jet front mount re-vulcanizing mold tooling……and on the left is the tool for the # 42545 rear mount. All US-made Parts for real US parts for US cars! 304430 (Right) 1951-54 w/ Hydramatic Trans ?? Need Sample! 304431(Left) 1951-54 w/ Hydramatic Trans ?? Need Sample! 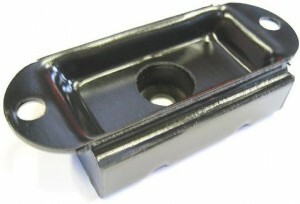 309567 1953-54 Jet, Super Jet, Jetliner $ 54.50 New Tool thanks to your sample! 3136790 1955-56 V8 40 w/ Hydramatic ?? Need Sample! 3138628 1955-56 V8 60 w/ Hydramatic ?? Need Sample! -a part we made because the other guy’s bumpers break off at the first hard bump! Yes, these are more expensive than some by a Hudson specialty house-simple reason:their cheap Pourable Rubber and Tin Can top version wouldn’t hold the weight! 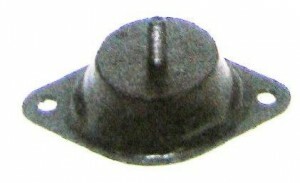 Pourable rubber only holds when no working strength is required. Best of luck with your Hudson!